The StudioPRO Rectangle Softbox with Bowens Speedring is used to diffuse strobe lights and provide you with even lighting. The diffusion panels allow you to adjust the output of the strobe head creating a softer more flattering light with open shadows. A grid adds an extra layer of control of the light by narrowing the focus of the light exactly where you need it. This concentrated light source helps when you want to keep the light away from the background. 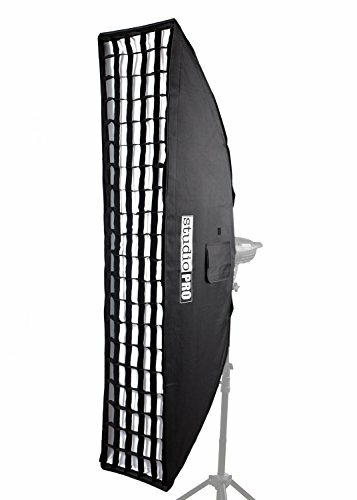 The portability and lightweight fabrics of this softbox make transportation easy. Using a softbox will dramatically improve your portrait lighting.